High quality marine acoustic insulation material designed for boat engine rooms. 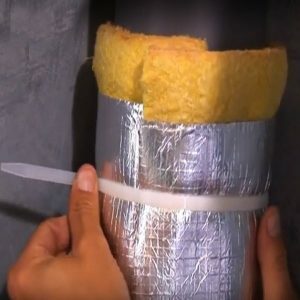 It contains a polymeric barrier core sandwiched between two layers of non flammable, class 0, acoustic foam, one layer being faced with a foil membrane. 2.0m x 1.2m sheet size. 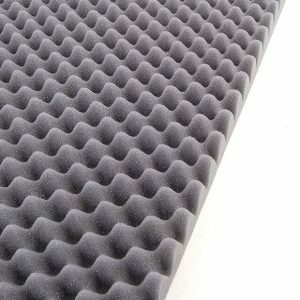 Maricoustic Foam is a specially designed marine acoustic foam manufactured with a 5kg/m² polymeric barrier, sandwiched between two layers of Class ‘O’ polyurethane foam with a silver reinforced film on the outer surface. The silver foil ensures that any fuel spillages or splashes can be easily cleaned and removed. It is designed for use in boats where there is a combined requirement for both sound absorption and sound insulation to improve passenger and crew comfort. 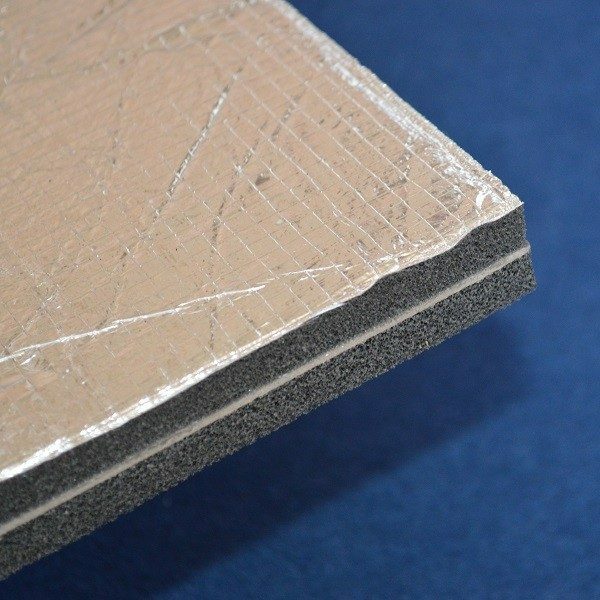 Maricoustic Foam is available in standard size sheets of 2m x 1.2m x 22mm and is used extensively in engine rooms, accommodation areas, bulkheads, under decks and hull plates of boats and other marine type environments. It can be used at continuous operating temperatures ranging from -10°C up to 80°C.